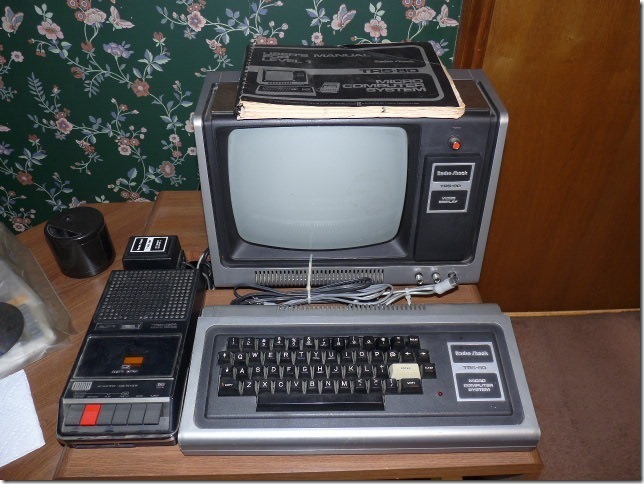 A site visitor located in Hurst, TX (DFW Metroplex) has a Model I 26-1001, SN-001361 with monitor, cassette deck, manuals, games and payroll software, power supply, and cables. It powers up but many keys stick, and the cassette deck runs but the belt must be replaced. Free for local pickup ONLY. 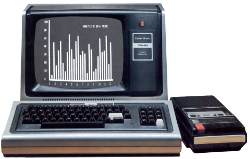 I will relay messages sent to me in the order received – email to contest at trs-80 dot com. First come first served. As always, to keep away those would say “hey, would you ship” (when the above states local pickup only), please contact me at freetrs@trs-80.com if you can do a local pickup and I will relay in the order received. Free for local pickup in Finksburg, Maryland: TRS-80 Model 100 (it works), a modem, a printer, software, manuals, AC adapter and a data cable. It also comes with he original cassette tape recorder but that doesn’t work. The take-up reel doesn’t spin. 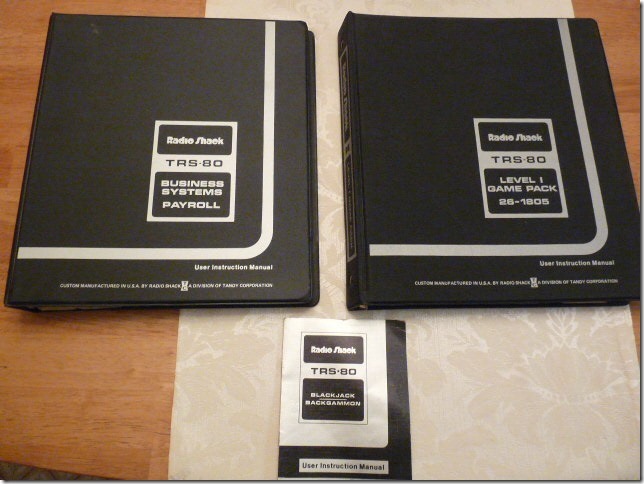 Free TRS-80 books for those willing to drive down to Cape Town. What? Not living in South Africa? You can dream like the rest of us I suppose. Pass it on. He originally planned to trash these (-!) but is willing to workout local pickup. To contact Eric Voigt about obtaining these please reply on Twitter. Multiple computers / parts / books / accessories for Models I, II (3 of these), III, 4 (regular and portable) available free for local pickup in Lake Orion, Michigan (about 30 minutes north of Detroit). As always, to keep away those would say “hey, would you ship” (when the above states local pickup only), please contact me if you can do a local pickup and I will relay in the order received. I have both a working TRS-80 Model I w/expansion interface and a Model 4p. Unfortunately most of the daily use software disks no longer read. I also have a hard disk drive for the TRS-80 from Clone Computers that no longer boots up. In addition I have manuals in good condition for TRSDOS 6.0, Dosplus 3.5 & 4.0, Montezuma Micro CP/M,and a Model 4p service manual. There are original software disks, not used except for installation, that may or may not be readable. We are moving and I will give it all away to whomever is interested in paying the freight or picking it up, rather than tossing it. We are located near Chagrin Falls, OH. UPDATE: Machines have been claimed. The below are the current batch of eBay auctions to support the site.